Documenting life in Hua Hin. 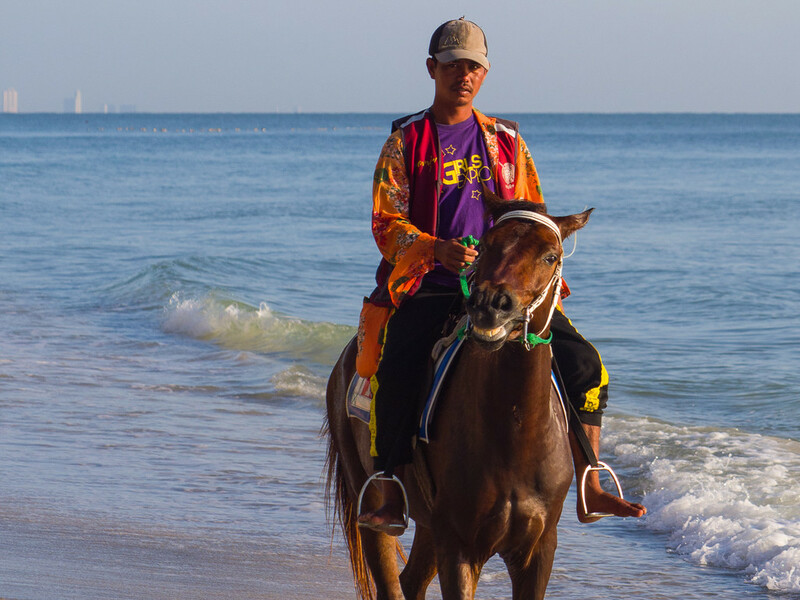 Tourists walk on the beach early, so those selling horse rides start work early. lovely shot - Id rather watch than ride for sure.